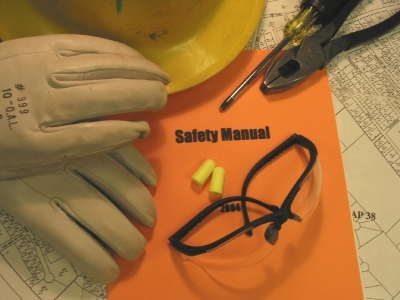 It is a fact that workplace accidents are inevitable in many industries. Just like you do not stop driving even though there is a risk of an accident, you don’t stop going to work because of that risk either. Most people know there are risks when driving, but have become accustomed to them. The same is true at work. You probably don’t appreciate the dangers you go through every day. In some industries, like oil and gas, construction, or transportation, this mindset can be dangerous. This post will go over some of the work injury and accident statistics you should know before an accident happens at your job. The following figures were published by the Bureau of Labor Statistics for 2016 with data provided by the National Safety Council. The number of preventable deaths in the workplace totaled 4,398, making that year the third in a row these deaths increased. A preventable workplace death is a fatality which could have been prevented if proper safety equipment was used and if safety regulations were followed. Preventable workplace deaths increased 5% from 2015 to 2016. Work injuries totaled 4.5 million in 2016. This resulted in an estimated $151.6 billion in medical costs, lost productivity, wage losses, administrative expenses, property damage, and employer costs. In addition to deaths, work injuries are up in a significant portion of industries. Construction injuries increased the most, followed by transportation and warehousing. These increases possibly reflect an improving economy and increased economic activity. If more people are being hired in these industries, this increases overall numbers of people exposed to harm and injuries. The average cost for an injured worker is $1,000 per worker. The cost for the death of a worker is approximately $1,120,000 per fatality. It is estimated that 49.5 billion dollars were lost due to loss of productivity in 2016. That same year, $33.8 billion was spent on medical expenses, and $48.3 billion was lost due to administrative expenses managing workplace injuries and fatalities. For one worker, a medical consultation for one injury averaged to about $32,000 in 2016. The above statistics illustrate that it is cheaper and better for workers to adopt a culture of safety and encourage safe practices. The more work injuries and fatalities a business experiences, the more costs are incurred. Unfortunately, these changes need to happen in ownership and management before workers can adopt them. So, what happens after there is an accident? Workers compensation often covers injuries, but some works are not provided with this coverage. In 2015, an estimated $61.9 billion was paid out in workers compensation claims (including benefits under deductible provisions), according to the National Academy of Social Insurance. Income benefits totaled $30.7 billion of this amount, while $31.1 billion covered medical and hospital costs. The following details some information about types of work injuries and their costs from the National Council on Compensation Insurance. The data was taken between 2015 and 2016. If you have been in a workplace accident, it is important for you to know your rights. If your company does not have workers compensation, you may find your medical bills and lost wages are too much to handle on your own. When a work injury was caused by negligence, you can talk to a work injury attorney about filing a lawsuit. These professionals understand the laws surrounding workers comp and work injuries. If you are hurt at work by someone else’s negligence, you need a dedicated attorney who cares about your rights. If you would like to learn more about filing a Work Injury lawsuit, contact Attorney Dean Boyd and his caring team today. You can reach us at (806) 242-3333 or Contact Us by email to learn more about our Services. You can also visit our offices at 4423 SW 45th Ave in Amarillo or 5012 50th St #103 in Lubbock for more information.